Jim Granat - For the Industry. By the Industry. Jim Granat is Head of Small Business Financing for Enova International (NYSE: ENVA), a leading provider of online financial services to non-prime consumers and small businesses. In his role, he is responsible for bringing easy-to-access working capital to more small businesses in the U.S. and growing the Headway Capital and The Business Backer branded products. 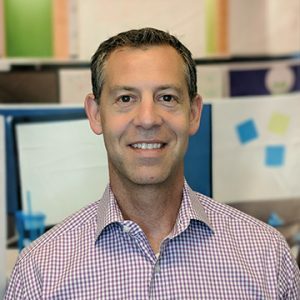 With a decade of experience in online lending, Jim previously served as President at Lendio and as Chief Operating Officer at FDI Management. He holds his BA in accounting and finance from Arizona State University. While at ASU, Jim was a member of the golf team, and he later played professionally.